Having emerged on the music scene in 1977, they gained followers with their energetic and danceable R&B. Over their expansive career Nine Below Zero have become a known and loved name, with their consistency in churning out hit after hit. In 2016, they debuted their new big band line up at Glastonbury Festival in the summer. Their introduction of a brass band, created a new vibe as well as expanding their sound. Combined with their new album 13 Shades of Blue, which explores some of the rarer blues songs. 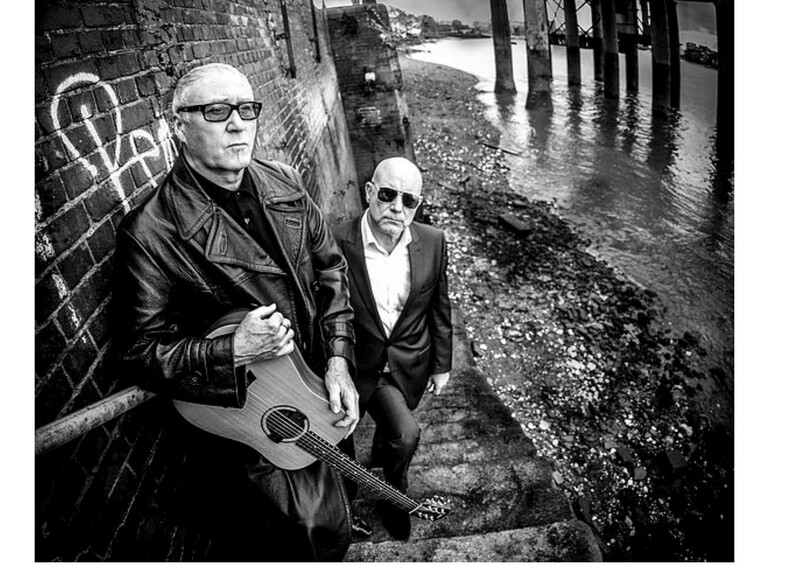 Ahead of their gig at Arlington Arts Centre we caught up with Dennis Greaves and asked him a few questions about the album and their current tour. First off I would like to say congratulations on the great success of your album Thirteen Shades of Blue, as well as your current tour. Many reviews herald it as an education in the different styles of blue music, is that what you intended when you were putting the album together? Yes very much so. I wanted to cover the many shades of the Blues, like Cajun, funk, soul, Chicago, folk Blues, British R&B and for the album to be received as well as it has, has been is very satisfying. Did you enjoy getting to grips with the work of Little Milton and the rarer retro blues songs? Spot on, yes I wanted to cover some of the great recordings and artists that fell under the radar. Little Milton is defiantly one of those. Its normally Buddy Guy, BB King and those guys but Little Milton was very special. With such diverse material on the album, how was it putting your individual stamp on each number whilst also staying true to the song? What we did was, I shared a play list with all the musicians weeks before we recorded so they could study them. Then when it came to recording we all went in the room and played the songs live with very little overdubs. They just came out with the right spirit of the originals but with as you say our stamp on them. Which song on the album was one of your personal favourites to record and perform? That’s a tough one, I suppose Don’t play that song for me was a real challenge. Have you ever played any shows in Newbury before? No never this will be our first time and I’m looking forward to it. What has been one of your favourite venues to play and what made it so memorable? There’s only one for me and that’s the Marquee Club Wardour Street, London. Arlington Arts is praised for its inclusive and intimate feel; do you enjoy playing in smaller venues or does each venue have its own distinct charm? Absolutely, especially our genre, Blues. I can’t stand these corporate stadium gigs with tickets over £100 its not why I got into music. Muddy Waters in a small venue would be heaven. What comes next for you after your current tour ends? Is there going to be a new album coming out or further touring? We are writing now for a new project and the Summer Festivals finishing the year as special guests on the Squeeze tour 25 dates. Tickets are still available for their show on the 25th February at 8pm. Tickets are available at www.arlingtonarts.co.uk or you can call our Box Office on 01635 244246.